Pat Schatzline's Blog: Have You Lost Your Keys? Have you ever felt like you simply did not have access to go where God has called you to go? We have been there, Karen and I! For years, we knew that God had more for us to do. We just couldn’t seem to find the keys. Jesus gave a promise to the disciples that they could have the keys. Matthew 16:19, I will give you the keys of the kingdom of heaven; whatever you bind on earth will be bound in heaven, and whatever you loose on earth will be loosed in heaven.” For two years, Karen and I, after being prompted by the Holy Spirit, have prayed for the Matthew 16:19, “Keys to the Kingdom. 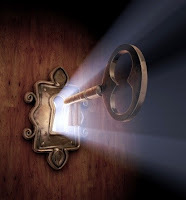 “ The word “Keys” (kleis in the Greek) means power and authority. I am writing you today to tell you God has keys for you. Last summer, on July 25, 2016, Karen, Abby and I were in Orange Beach, AL to attend a dear friend’s ministry board meeting that Karen and I serve on. We decided to go on a prayer walk that morning on the beach. As we walked along a deserted area of the beach we took hands and prayed, “Lord, give us the keys to the kingdom.” Suddenly, there in the ocean surf was a key. We ran into the water and picked up the key. Karen and I rejoiced over this simple act of love from the Father. That morning our God knew we would be walking, praying and need a sign from above. Since that moment we have seen God do more in one year than in the last 19 years! God has shown us that without His authority you will never be granted into places that have previously been closed to you. Did you know that God has keys for his bride to go places that they never imagined? Realize that you belong to Gods family! 1 John 3:1, “See what great love the Father has lavished on us, that we should be called children of God….” We must realize that God has been waiting on his children to grab ahold of their authority! If not you, then who? Romans 8:19 declares, “For [even the whole] creation [all nature] waits eagerly for the children of God to be revealed. (AMP)” Therefore, you have access to His house. Everyone in our family has a key to our house. Would we give that key to perfect strangers? No! Only those whom belong to the family! You belong to the family of God. I have learned that big doors open with little keys. Often we are trying to go places without access being granted. This causes us to get frustrated and live a life haunted by a terrorist called lethargy. God has not called you to be stuck in the same place, but we are called to move forward. I have come to tell you that God has called you to realize that “He who began a good work in you will bring it to completion at the day of Jesus Christ. (Phil. 1:6)” This is your moment to take back what the enemy has taken from you and to walk places you have only dreamed! Key #3- Live in His Presence! Every day seek out the secret place! God is waiting on you for secret encounters. Psalm 16:11, “You make known to me the path of life; you will fill me with joy in your presence, with eternal pleasures at your right hand.” Here is a key we have found: the way we position ourselves impacts the volume of God’s voice. The surroundings we choose to be in either position us closer to God or father away. When God calls us deeper in Him, we must put away all distractions and allow our faith level to rise. Are you ready to see doors open? Rev. 3:8, “I know your deeds. See, I have placed before you an open door that no one can shut. I know that you have little strength, yet you have kept my word and have not denied my name.” This is your now! 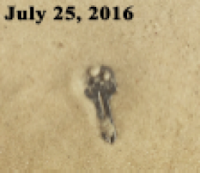 Finding that key on the beach that day led us on a journey this past year where we have literally begun to find other keys: keys to our health; keys to new streams of finance; keys to blessings over our family; and keys to His kingdom. We want the same for you! Thank you Pastor Pat and Sister Karen Schatzline for such a powerful word of the Lord. This blog this morning was a answer to my prayers I prayed this morning. I thank God that I am able to hear from Him. I pray that the blessings of the Lord will overtake you and your family for your ministry to the Kingdom of God. I love you and ask that you pray for my family and I.
I am Cheryl Collins that use to attend Phenix City First Assembly of God in Phenix City, AL with Pastor Barry and Sister Charlene Danner. You may remember me as Peabo's Mama. I love you and your family and ask that you pray for Peabo as he is not attending church regularly and he is struggling in his finances, he lost his job and his family's van needs to be repaired. Peabo and his father relationship is estranged. Thank you for praying for Peabo I am living in Cornelius, NC now and all I am able to do is pray for him. I might sound funny, but it’s true that I am never afraid of losing my keys because if it happens, I can call emergency locksmiths immediately. I can visit this page to find the leading locksmith service provider, without losing time.